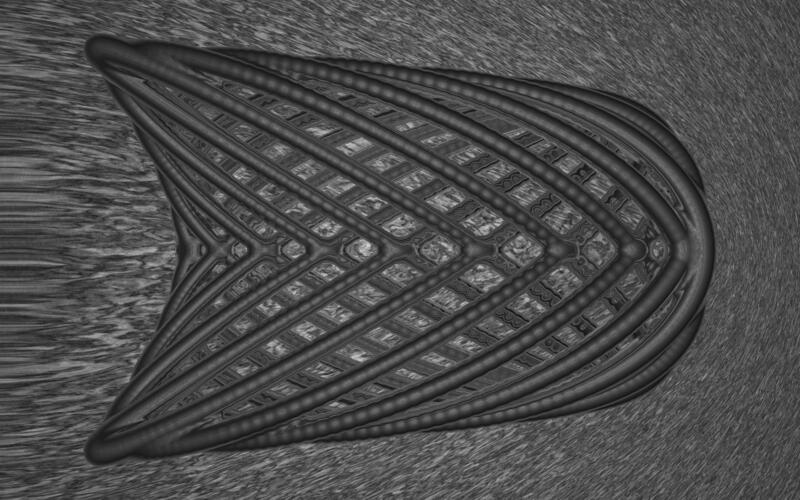 Woven Sines, von Michael Scharrer, mit POV-Ray gerendert. A simple weave based on the sine function. It is implemented as a blob with many small spheres instead of a sphere-sweep to create a smooth fusion effect at the various intersections. However, this also leads to a sweep with non-uniform thickness. Es existiert bereits eine neuere Version von dieser Szene. Dies ist Version 1 of 2.